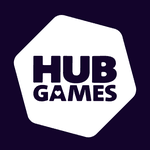 Hub Games, formerly known as The Creativity Hub, aims to publish games that foster discussion between players at the table and beyond, games with heart. By encouraging self-expression through play and having gamers reflect on the choices they make, Hub Games looks to push past the idea of games being simple entertainment. "There is a space in the tabletop world for games that give us more", said Michael Fox, Hub Games' Community Manager. "We still aim to create incredible games, but if players want to scratch the surface and look a bit deeper, they'll find reasoning behind every decision in what we produce. We want players to think about what they're playing, and for those choices they make in game to stay with them long after they leave the table."